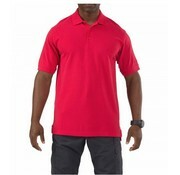 5.11 Tactical Professional Short Sleeve Polo (Range Red). The original 5.11® Professional Polo is a longstanding favorite among law enforcement professionals around the globe. 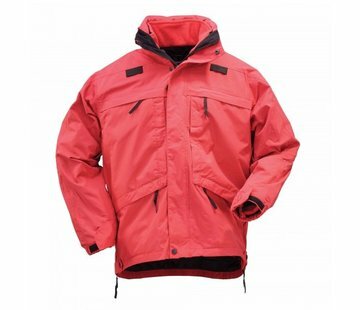 Crafted from tough, durable, and surprisingly comfortable 6.8 oz. 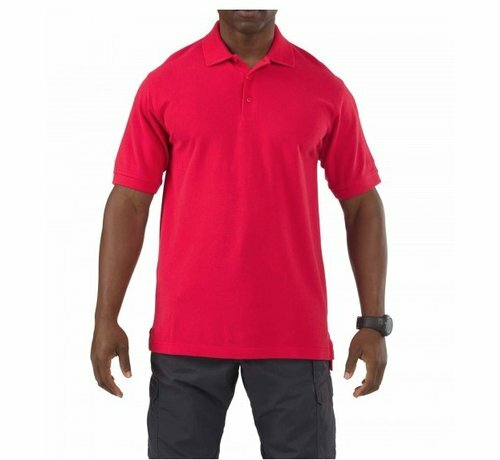 pique knit cotton, the 5.11 Professional Polo offers all the features you expect from premium men's wear. 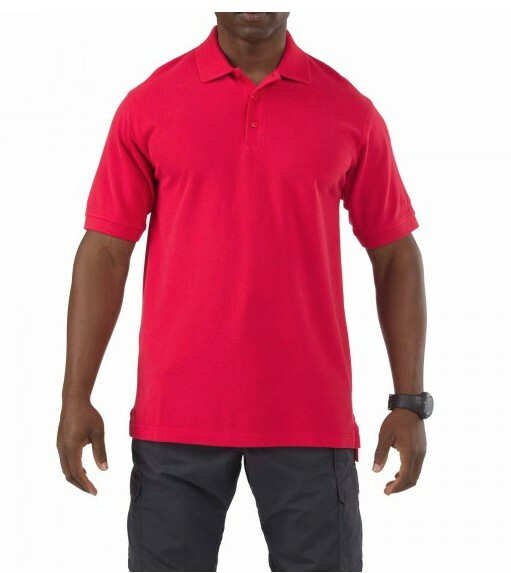 Our no roll-collar with flexible collar stays provides a neat, professional appearance at all times, melamine buttons won't burn, crack, or melt, a traditional three-button placket adds a touch of class, and the drop tail hem with side splits ensures that your polo stays securely in place throughout your shift.